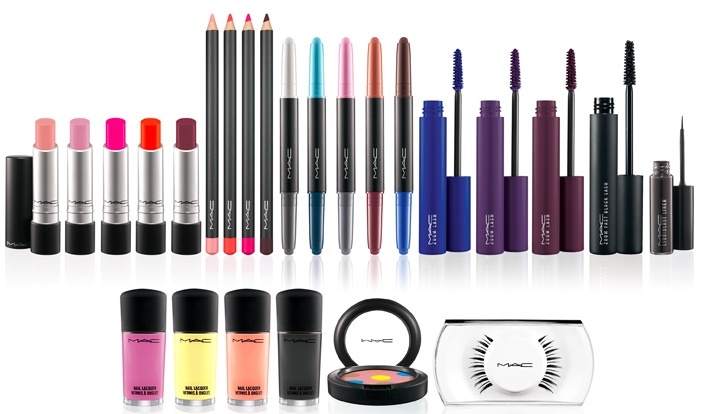 The MAC Beth Ditto Collection includes Pro Longwear Lipcremes, Lip Pencils, Liquidlast Liner, Nail Lacquers, Zoom Lash Mascara (3 shades) and Zoom Fast Black Lash Mascara. 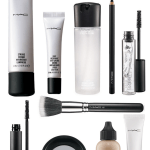 In addition, there are 2 new products introduced: MAC Shade & Smoke Shadow/Liner and Powder To The People. I was sent 3 out of the 4 available colors; I didn’t receive Beth Mask, probably the only combination that I would actually wear. Because I have blue eyes, Drag, Strip and Beth or Glory aren’t colors that really do anything for me. 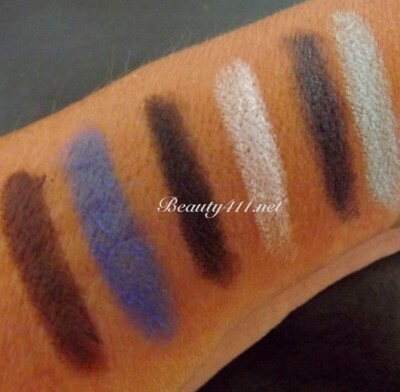 The best-performing color combination of the 3 Shade & Smoke Shadow/Liners I tried was Little Miss Moffet; a black liner/white shadow combination. Unfortunately this wouldn’t be a shade I’d buy, because I already own so many black liners. This shade seemed to offer the best pigmentation. The combo I felt the most lacking was Drag, Strip. The Greasepaint side seemed to perform like my others, but the shadow end seemed a bit dry and inconsistent in application. I’d definitely recommend a primer first for best results. 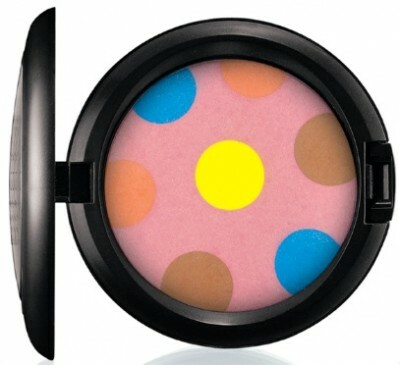 MAC Powder To The People ($38) is another multi-tasking product that in reality falls a little short. While I love the fun look of this compact, I just don’t think these colors work. On the MAC website, it advises that this compact is to be used on the eyes, but the pigmentation doesn’t cut it to be used as eye shadow. And even if the pigmentation were good, in real life I wouldn’t be combining yellow and bright blue or bright blue and pink. While I would use the base pink color as a blush, because of the positioning of the dots, you really can’t get a large blush brush to load. The MAC Beth Ditto Collection is available now at all MAC locations and online at maccosmetics.com. I’d be interested to know if any of you picked this up and what your thoughts/experiences are. Let me know in the comments! Dark, dramatic, delicious…the MAC Taste Temptation Collection! Hi! 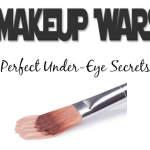 I use eye shadow (pro palette refill pan) from MAC. 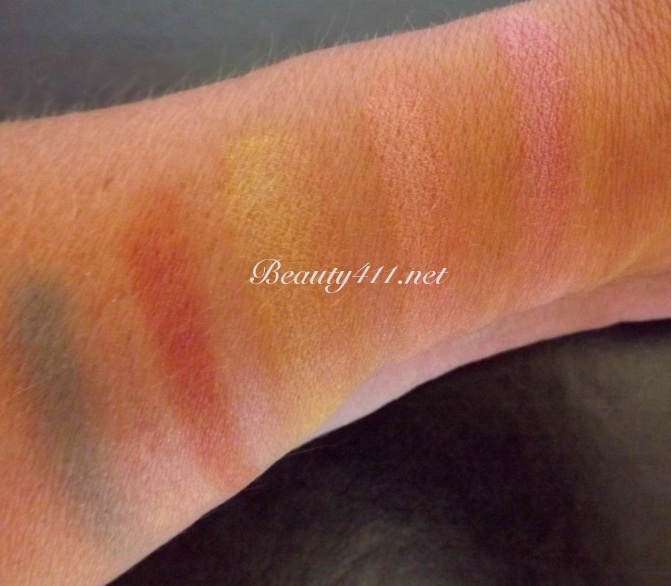 Highly pigmented powder. I like it very much.